Home > Hambledon Hill > Winter on it’s way? Tilly an I walked around Hambledon Hill this morning and when we came off of the hill there were a few Fieldfares in the Hedgerow. 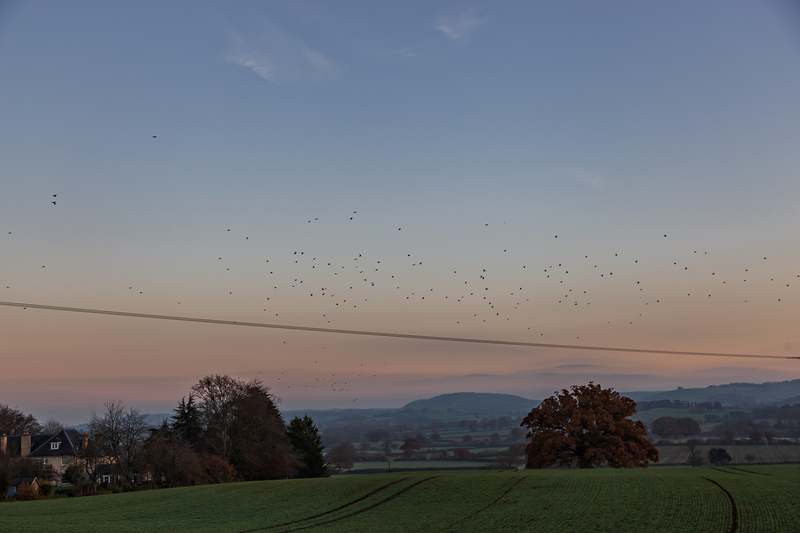 I mentioned in my last post that I had seen a few small flocks around and about, but when I walked across the field towards Shroton Brake today a large flock flew from the Hedgerows with their distinctive sound, They filled the sky I just caught a small number of them and I counted up to seventy in the picture before I gave up! There must have been about two hundred of them, a sure sign that winter is on the way.